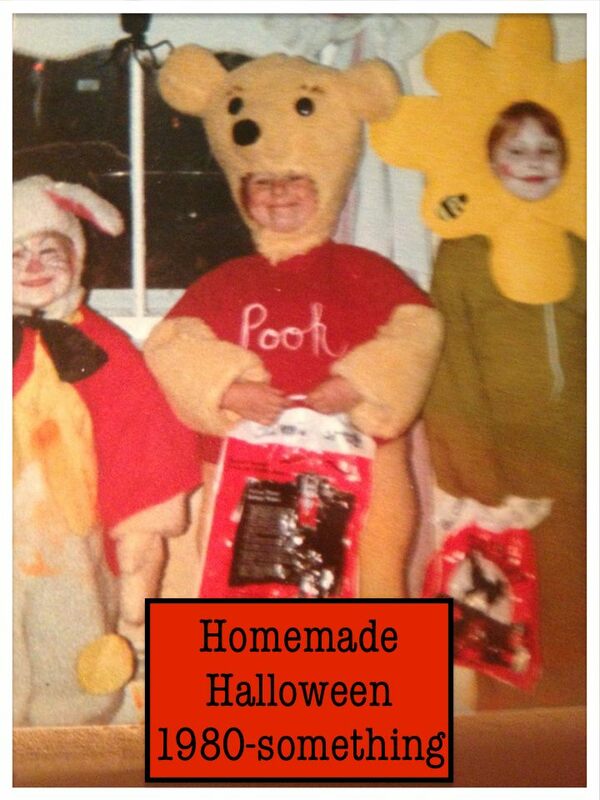 Home-Cooked & Handmade: Homemade Halloween 1980s Style, Baby! I was born in the late 70s, so naturally that makes me a child of the 80s. I read an article that someone posted on Facebook not too long ago describing my generation as caught somewhere between analog and digital. Boy, was it spot on. Any other readers caught somewhere between millennials and X-ers? Regardless of exactly how I define myself, I have some good memories of Halloweens past. My mom was very into the homemade costume, something I think my son must have inherited from her! 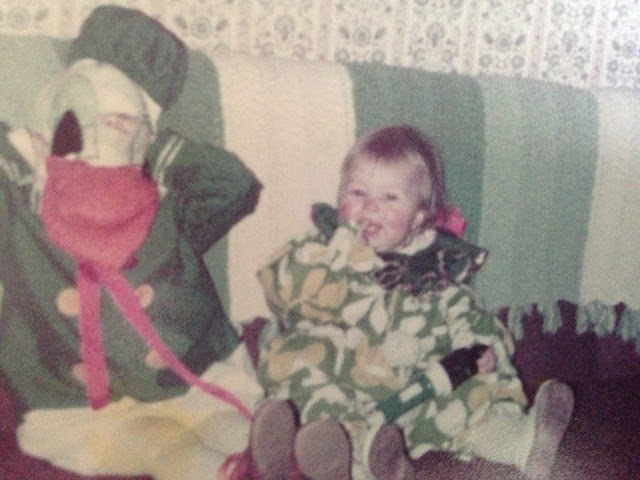 Every year as other children donned sweaty plastic masks, my mom suited us up in her latest creation. 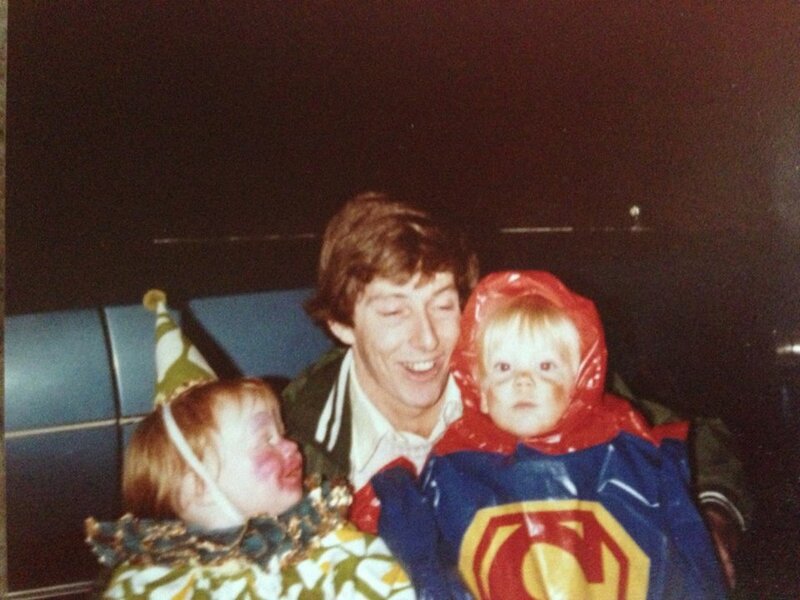 I can't say I share the same affinity for making costumes, but the memories are fun! In the picture above you can see my sisters as Alice's white rabbit and Winnie the Pooh. I'm a flower. 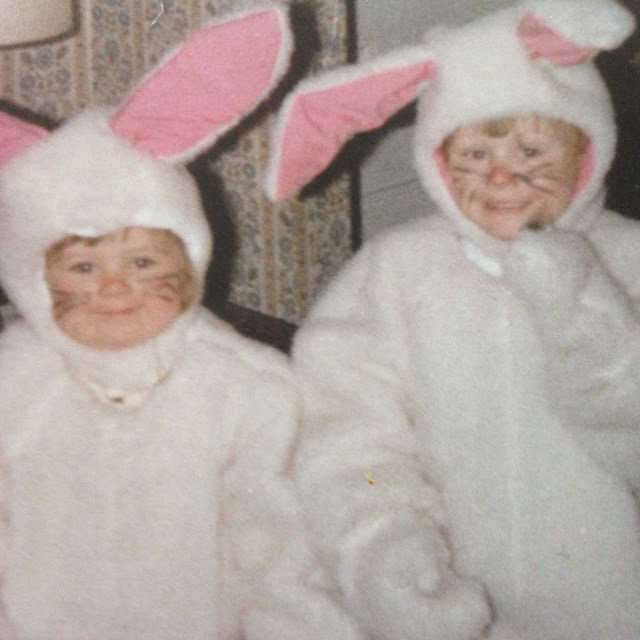 This year we were certainly warm in our bunny costumes. My sister and I matched. I think we may have even won a prize at the local costume parade. That happened more than once for sure! I am just a little one in this picture. My uncle is holding my cousin and me. I'm the clown. Looks like there might have been a makeup mishap! 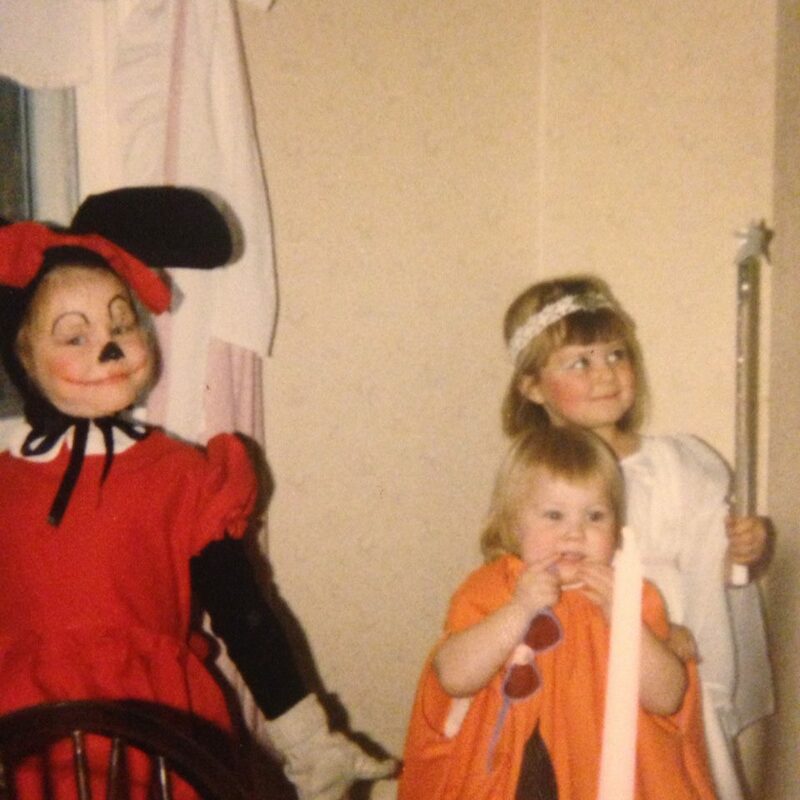 As you'll see below, the clown made a reappearance on my sister a year or two later. No makeup on her. That was the right move, mom. I'm hiding in the Donald Duck suit. Can you believe my mom made all these costumes? Not only cute, but that must have been a lot of work! No wonder we won prizes. These costumes were good! Minnie Mouse, a pumpkin and an angel this year. So cute. Fun times! What did you used to dress up in for Halloween? Did your parents make costumes or buy them? As parents, my husband and I do a bit of a combo. Sometimes we buy and sometimes we make and sometimes the costume is a hybrid of sorts. Leave a comment below and share some memories! Gosh I had fun. Thanks for sharing. My dad was the mastermind. We used to be boxmen. That means Dad made our costumes with various sized boxes (we had small eye holes for in the second box but the head was way above. We marched around the firehall and we always won some prize or other. I loved the cider and doughnuts and growing up in a small town. Both Mom and Dad are gone now but the memories are sure still there. Amy, that sounds like a lot of fun. Our parades were at the local fire hall as well, but we didn't get cider donuts. That would have been delicious. It's great that you have those memories to hold onto.